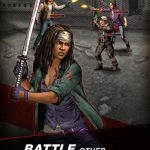 There’s a new Walking Dead game on Android and iOS, and it’s Scopely’s new title The Walking Dead: Road to Survival. 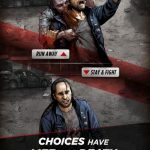 The game is described as the “definitive Walking Dead role-playing game,” and a title where your decisions will be the telling factor in determining who lives or dies. The title is based on the original The Walking Dead graphic novels, and allows you to recruit some of the series’ most popular survivors, as you try to stop the evil Governor and take over Woodbury. You’ll also have a vast array of weapons to help you against the Walkers and other survivors, and the option to bolster your base’s defenses and use power-ups to counter enemy raids. You may be excited to kill some zombies or stop other survivors from stealing your supplies, but if this is your first time to play the game, we strongly recommend reading this The Walking Dead: Road to Survival cheats and strategy guide. And even if you’re not a newbie, these tips can come in handy as there are so many things longtime gamers tend to forget while in the heat of the action. When up against a horde of zombies, you’ll want to stay at a safe distance from most of them, and focus on killing the ones that are closest to you. Zombie hordes will slowly but surely close in on your team of survivors, but they won’t attack you until they’re right next to you, with your survivors ripe for the picking. As such, you should go for close contact kills, while at the same time keeping your guard up for the zombies who are farther back. As zombies are AI-controlled, the first tip always works against them. But when it comes to other human players, everyone gets to attack during their turn as long as they’re capable of doing so. The Walking Dead: Road to Survival has its own share of missions that would give you rewards for completion, and you can use these tokens to unlock more powerful characters and some useful equipment for your survivors. Go to the Missions tab and check if there’s something you can claim, and also look for alerts on the recruitment button. Short obstacles, or specifically letting them block the path of the zombies, can also work well when trying to kill the undead enemy. Zombies will have to go around these obstacles, though you should only fire guns at zombies as you’ll hit them on the other side of the obstacles; melee attacks on zombies behind barriers won’t work at all. This is a basic RPG mechanic that also comes into play in The Walking Dead: Road to Survival in a very similar way. If you’re able to unlock survivors whom you don’t need after all, you can always recycle them so you can make your top survivors even stronger than they are. Always be sure your main survivors are regularly upgraded, so as to give your team the edge against zombies and other human-controlled survivors alike. This is probably a very common-sense tip, but we’re going to share it with you anyway. All characters in this game have their own unique abilities that can be powered up over time, as they deal damage against enemies and take it on their end. There are also buffs that can benefit your entire team. For example, Glenn’s buff reduces incoming damage and increases offensive stats for your whole team. The important thing here is to familiarize yourself with everybody in your team – what are their special skills, what buffs do they bring to the table (if any), when should you take advantage of these skills. For example, as Sandy’s special abilities allow her to hit multiple targets at the same time, she’s not the survivor you want to use when you’re dealing with a solitary zombie. 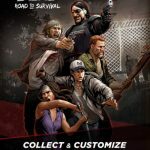 The Walking Dead: Road to Survival is an RPG, and it makes no bones about it – instead of leading epic heroes in fights against monsters or demons, you’ve got zombie apocalypse survivors fighting off zombies. And another RPG mechanic that you can find here is the rock-paper-scissors principle where one character type is strong against another, but also weak against yet another type.